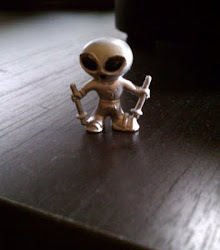 High Strangeness: Code Word: Excitement! This is big! I've come across an interesting bit of secret U. S. Air Force code while working on my book about Dr. J. Allen Hynek. At first I wasn't sure if I should share it here in the blog, knowing how sensitive it might be. National security and all that. But upon further reflection, I decided to take a stand. The public deserves to know. What have I got? Well, back in August, 1953, while Hynek was working as a consultant on the Air Force's UFO study, Project Blue Book, a big case came in. In one night, over the course of three hours, as many as eight separate unidentified flying objects were sighted and tracked in the sky over Rapid City, South Dakota and Bismarck, North Dakota, some 220 miles to the northeast. 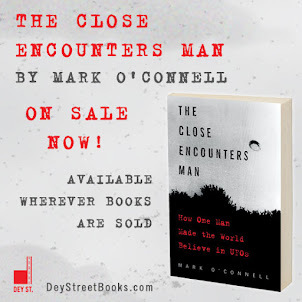 Two things made the sightings remarkable: 1) every last one of the witnesses was a skilled, trained observer; and 2) the objects were picked up simultaneously by ground observers, radar operators and, in South Dakota, by Air Force pilots. The first sighting was made by a volunteer sky watcher with the U. S. Air Force Ground Observer Corps (GOC) in Blackhawk, SD, just a few miles from Rapid City. Crazy as it seems, back in '53 the United States had not yet gotten our early warning radar system up and running; all we had was a bunch of kids, housewives and retirees with binoculars scanning the skies for any sign of incoming Russkie bombers. They actually strapped these people to the radar dishes. So this woman spots a bogie through her binocs, calls it in to the GOC Filter Center in Rapid City, they in turn call it in to the control tower at nearby Ellsworth Air Force Base, and for a for a few hours everybody goes crazy watching a series of red, white and green lights flit around the sky and behave "erratically." Two Air Force jets are vectored to intercept the lights, only they can never catch up with them, which spooks the pilots something bad. One of the lights zooms up to Bismarck where the whole thing starts up all over again. 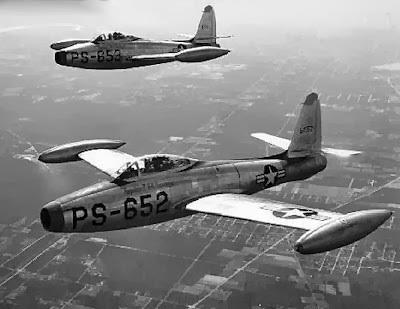 TRUE FACT: In 1953, the Air Force sent out black and white jets like these to intercept UFOs. Both Hynek and Ruppelt pepper their reports with the words "excitable" and "excited," and as I see these words over and over and over again in the reports it hits me that they mean something more than just "excitable" and "excited." They're secret Air Force code for: "UNRELIABLE"! “Bennett is rated as excitable, but pretty sure about what he sees,” Hynek reported, but noted that Bennett had pegged Needham as the excitable one. Is it just me, or is that just way too much excitement? I am sure that you are right that this was a "code" word that they used to describe whether they had a very calm, dispassionate observer or one who clearly reacted emotionally to their experience. I don't know that's any kind of shock, however. Parents will substitute words in their conversations all the time which are skewed just enough to cloud their actual meaning from kids and other unintended audiences. It's common in politics too - it's easier to call someone an undesirable rather than a criminal. It's easier to call them a malcontent rather than a nut bag. You get idea.